Make the most of your visit to Cornwall and explore everything the county has to offer with the help of an experienced tour guide. From the stunning landscapes to the beautiful towns or famous coastline – with so much to see a tailored tour offers the perfect way to ensure you don’t miss a thing. 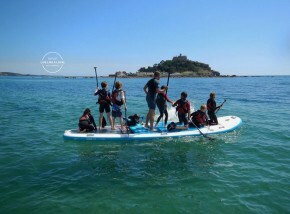 Take the hassle out of your trip to Cornwall with this one stop shop to all your holiday experiences and activities. Bespoke Blue Badge guided walking tours showcasing the county's beautiful landscape and fascinating heritage.